Beach | Flights. Camera. Satisfaction. 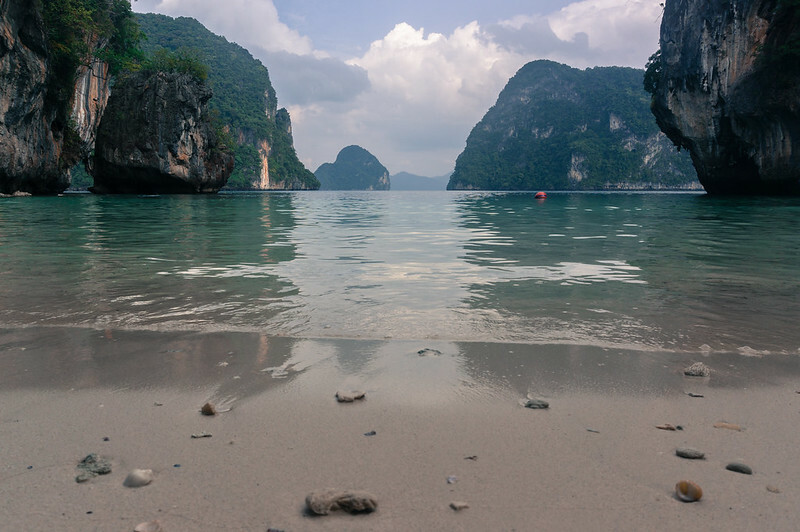 Maya Bay is a tourist hotspot and at peak times you’ll do well to see the sand for the people. So we decided to take a sunrise tour of the Koh Phi Phi islands to try and beat the crowds. While it was made famous by its appearance in “The Beach”, our guide assured us that the bay had actually been very popular before the film cast a spotlight onto it. This allayed any feelings that we might be late to the party. 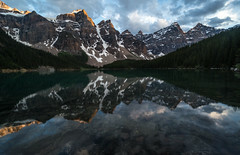 I was skeptical that our departure time of 6:30am would give us much of an advantage, but I rested safe in the knowledge that whatever the outcome we’d made the best effort to get there as early as possible. We really had no idea how busy the beach would be when we arrived. Our boat coasted up to the shore at about 7:45am and I counted only 10 people already on the beach. There was just one longtail boat parked up in the shallow water. I couldn’t believe how quiet it was! And for about 15 minutes it really felt like paradise. Fortunately I managed to get this shot before the barrage of other tourists came motoring into the bay just after 8am. It captures a moment I’ll not soon forget. Have you ever visited Maya Bay? 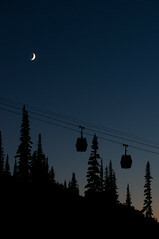 Taken a sunrise tour to beat the crowds? Was it successful?! I’d love to hear from you! 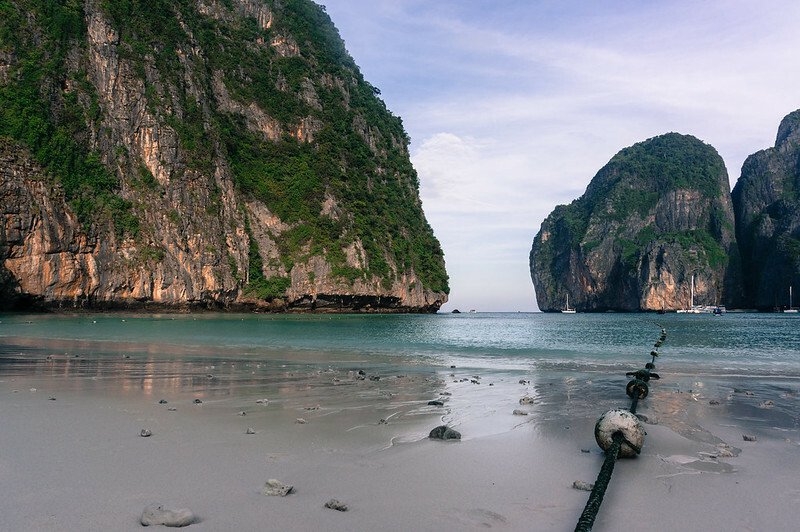 This entry was posted in Asia, Thailand and tagged Beach, Koh Phi Phi, maya bay, sunrise tour, Thailand, the beach on January 8, 2014 by Ben. We spent the last four days of our time in Thailand enjoying the beach life in and around Phuket. It was the first time I’ve ever seen or experienced a tropical beach, and it was brilliant. I really felt like I could just relax and unwind for the first time in a long while. The more remote beaches only accessible by boat were undoubtedly a highlight. On our second day we did a day trip with Phuket Sail Tours which included some time around the islands of Krabi. This beach was our final stop before heading back to Phuket. When we arrived it was quite busy with four or five long-tail boats populating the shore. But as the afternoon went on other people left and eventually it was pretty empty. Bliss! We did some snorkelling in the shallow waters and had a bit of time to lay down and enjoy the tranquility. I have to say that in the past I have turned my nose up at beach holidays as boring and unadventurous. But this trip has completely changed my mind! Do you enjoy a good beach holiday? 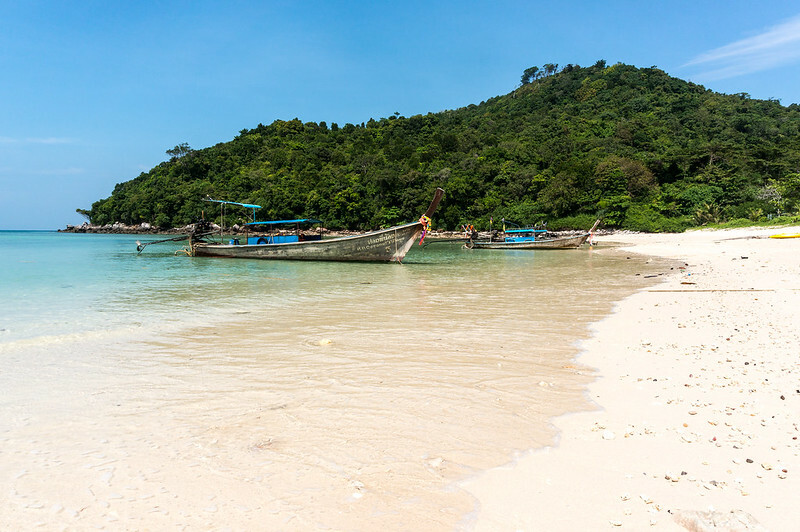 Have you ever visited any of the Thai islands? 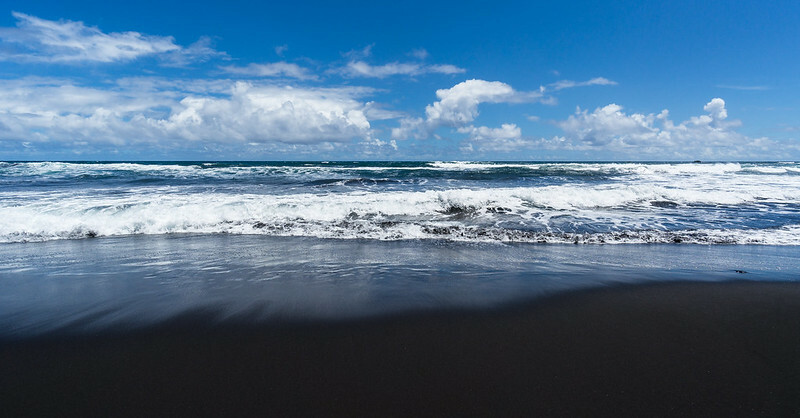 What’s the best beach you’ve ever laid eyes on? This entry was posted in Asia, Thailand and tagged Beach, Krabi, Paradise, Photography, Thailand on December 19, 2013 by Ben. 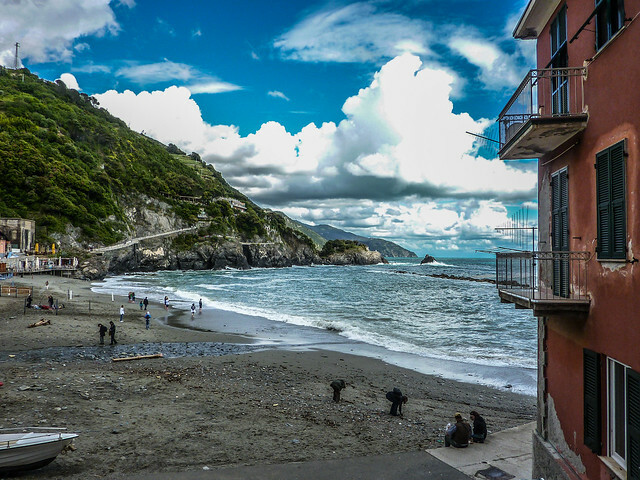 Monterosso al Mare – What a view! CinqueTerre_20130525_0039.jpg, a photo by Flights. Camera. Satisfaction. on Flickr. My first blog post! This is the full picture from my header, taken just before a downpour on a recent trip to Monterosso Al Mare in the Cinque Terre region of Italy. There will plenty more coming up from this trip, this is a little taster (and a test of posting to the blog from flickr). I don’t know if anybody lives in the building to the right, but what a fantastic view if they do! This entry was posted in Italy, Photos and tagged Beach, Cinque Terre, Coast, Italy, Monterosso Al Mare, Photo, Travel on June 1, 2013 by Ben.